Its that time of the semester – time to start reading all that stuff you’ve been putting off. hey, THIS IS HILLARIOUS-AND SO SO SO SO TRUE. youre a really talented artist, keep up the great work. i always look forward to typing this url in and finding a new comic! OMG finally experiencing the college work load! this is on my bookmarks! make more!!!!! 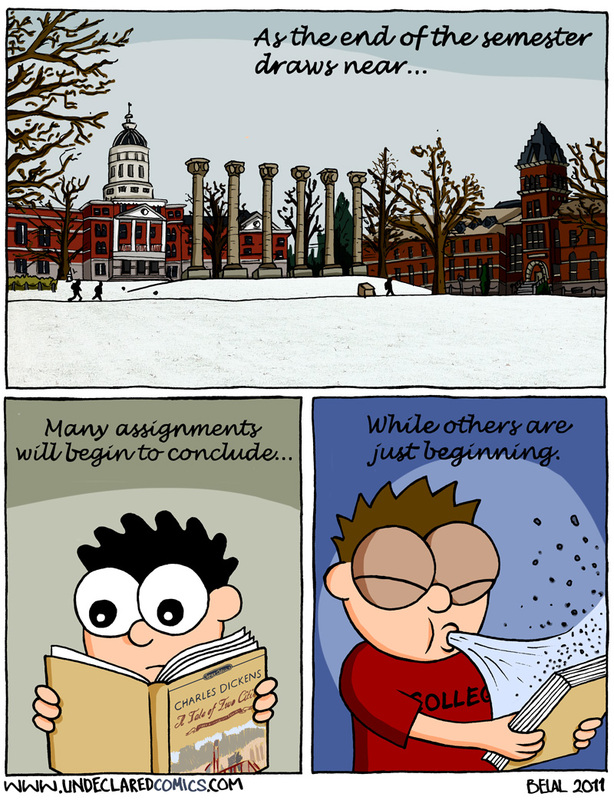 The top panel is a portrait of University of Missouri-Columbia! I have been there many times!